Unfortunately there’s no magic recipe for losing weight and dropping unhealthy fat, but there are some diets that can really give you a head start! It’s almost impossible to lose weight without decreasing your calorie intake, and it can be a difficult balancing act. But don’t despair! There’s a diet out there that has already helped many people to lose weight, reports Healthline. Many people say that the diet has helped them lose 10 pounds in the first week – it almost sounds too good to be true! In this diet, eggs are the star ingredient. Remember! This is a low-calorie diet which is designed to give quick results, and should not be used for long-term weight loss. Eggs are, in many ways, the essential food. They include all of the nutrients a human needs, except vitamin C – but if you add a little fruit to your diet, you’ll soon sort that out. Eggs are loaded with vitamin B12, vitamin B2, vitamin A and vitamin B5. 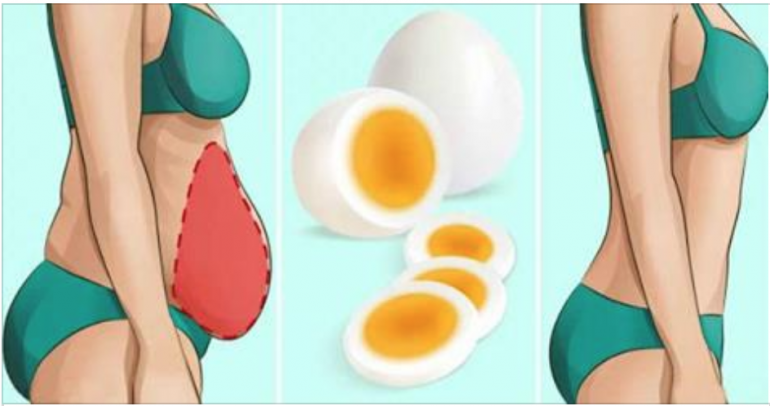 It also contains nearly all of the minerals that are essential for our bodies, such as iron, zink, calcium, magnum, potassium and vitamin E.
The fat composition in eggs is beneficial, 25 % is monounsaturated fat, 9,4 % is polyunsaturated and 18,1 % comes from saturated fat. The cholesterol content is relatively high, hence the persistent myth that eggs raise LDL cholesterol levels in the blood. However, this has proved not to be the case in otherwise healthy individuals. Some who tested this diet felt more tired than usual, because they didn’t get as much energy through carbohydrates. However, try to exercise at least every day during this diet, and you should prevent this.